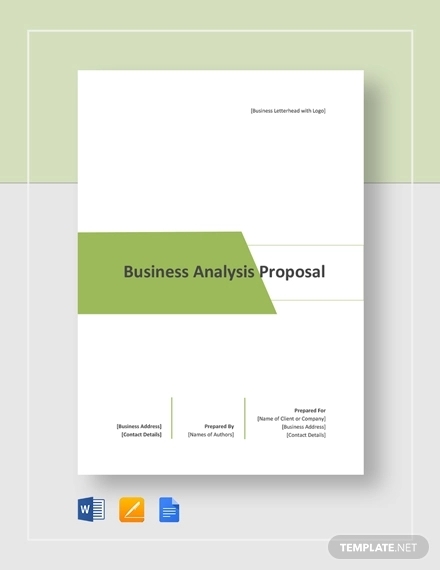 A business proposal is one of the most common documents used in business transactions. 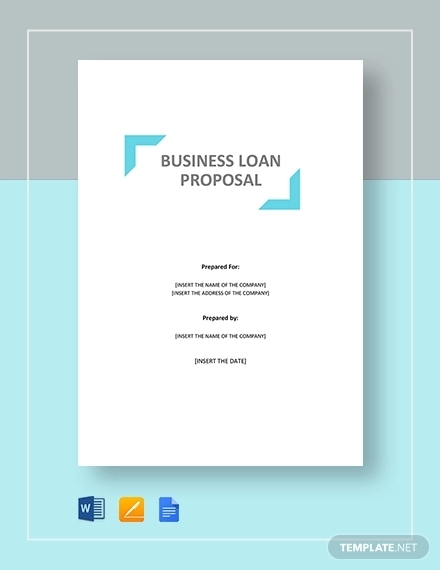 But what exactly is a business proposal? In hindsight, a business proposal is a proposal created by an individual or organization and is submitted to another party (also an individual or organization). 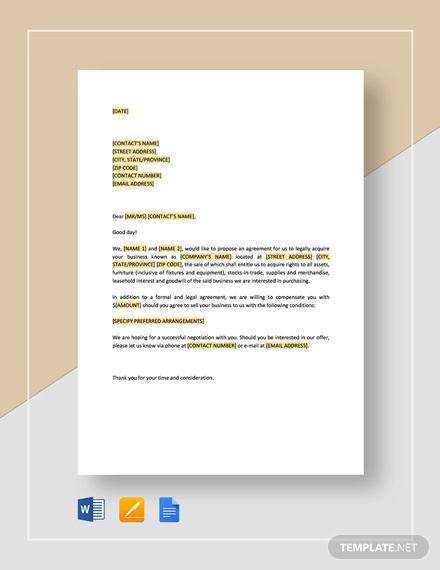 In this article, we will be providing you with business proposal templates and examples that you can download. 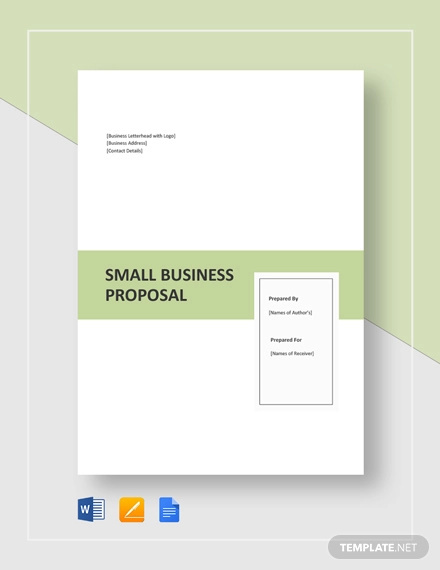 These examples and templates will help you create a proposal for your own business. Check it out below! 1. Executive summary: In a business proposal, an executive summary is basically the elevator pitch of the proposal. Most times, the reader of the business proposal will not be able to read the entire proposal so thy rely on the executive summary. An executive summary, in its basic sense is just a summary, so it should only comprise of one or two pages of the entire business proposal. 2. Business description: Business description refers to the products or services you are selling as well as the location and members of the management team. The business description is not only applicable to individuals or organizations who have their own business but for start-up entrepreneurs. Include the same information mentioned above if you are looking for an investor for your business. 3. Market analysis: Your market analysis is an exercise in seeing where you fit in the market and how you are superior to the competition. Data that you will gather for your market analysis basically revolves around your target market, so this includes demographics as well as the preferences of your target market. 4. Organization and management: Organization and management simply refers to the individuals running the business or organization. When writing the management portion of the proposal, don’t just list down the names of the CEO, COO, and other high-ranking officers, but list down other information about these individuals as well (i.e. role in the company, prior management or work experience, other business ventures, etc.). 5. Sales strategies: This section is all about explaining your price strategy and describing the relationship between your price point and the products or services you are selling. You should also detail the promotional strategies (as well as social media activities) you are using, along with strategies you hope to implement later. 6. Funding Requirements: Funding requirements are only useful if your business proposal is centered on investment or if you are planning to start a business. When requesting for funds, be specific by listing down the exact amount you are requesting. The exact amount should also stem from an exact road map on how the funds will be used. The road map will assist not only the company but also the investors who will obviously want to know where the money is going and if they will receive large gains from the investment. 7. Financial Projections: Aside from the funding requirements, you should also create financial projections in regards to your investment. Make sure you summarize any successes up to this point. This is especially important if you hope to secure funds for expansion of your existing business. The financial projections should be based on information about your revenue growth and market trends. You want to be able to use information about what is happening, combined with your sales strategies, to create realistic projections. 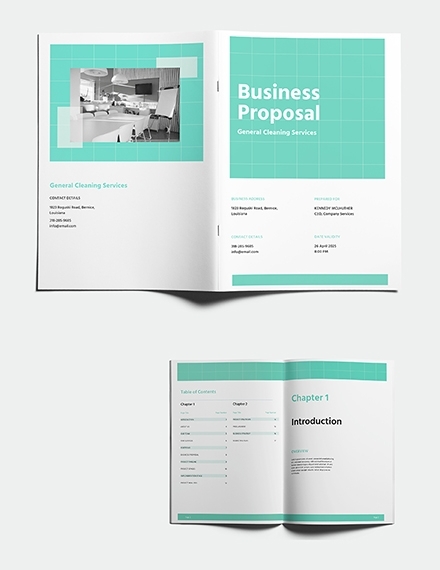 Follow these simple tips so that you can create an excellent business proposal layout. 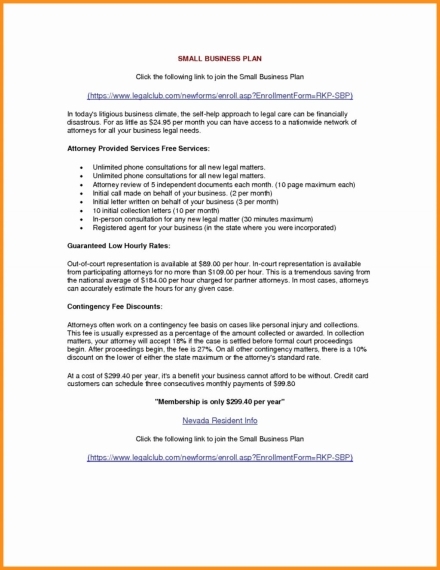 Although the business proposal is contained with highly detailed information (i.e. market analysis, organizational chart, business profile), you should go directly to the point when writing down these information. Take note that the readers of your proposal, most likely investors, will want to act immediately on your proposal, so get to the point quickly. 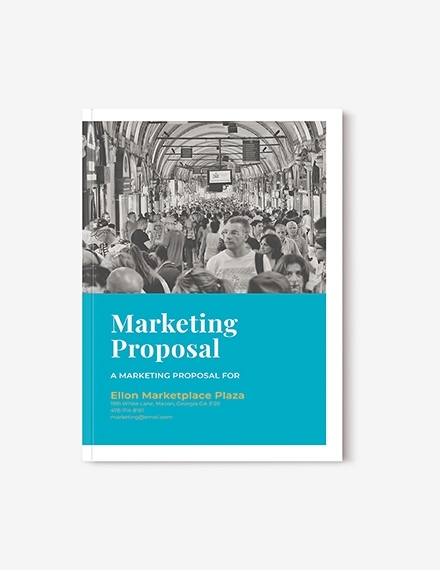 Even if your proposal is lengthy, do not waste the reader’s time and lead him to the important details of the proposal. 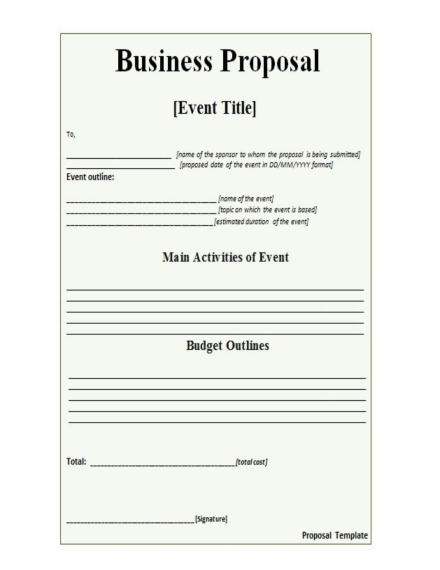 One of the best ways to organize the business proposal is to divide the said proposal into sections. This helps the reader follow the business proposal in a proper sequence. Additionally, the information in the proposal will also be categorized and the thoughts you want to portray in the proposal will not be over the place. 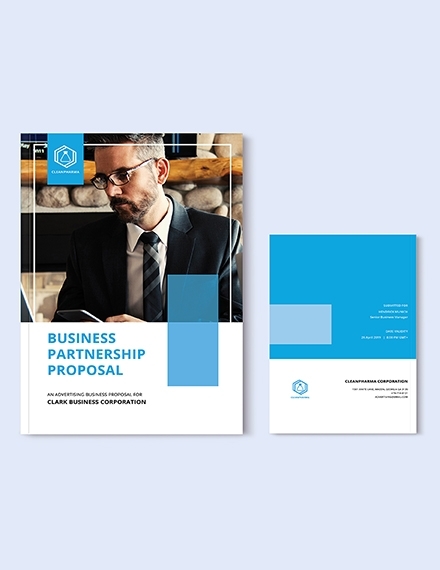 A business proposal is still a formal business document, so you really can’t add random images or pictures like in a poster or tarpaulin. One of the best graphical or visual representations you can include in your business proposal is to add charts or graphs. You can create charts or graphs using the data you gathered from your target market as well as data from your own company. Don’t fill out the business proposal with charts and graphs though as you will still need to explain the details of the charts or graphs. They only act as a quick guide or summary for your readers. 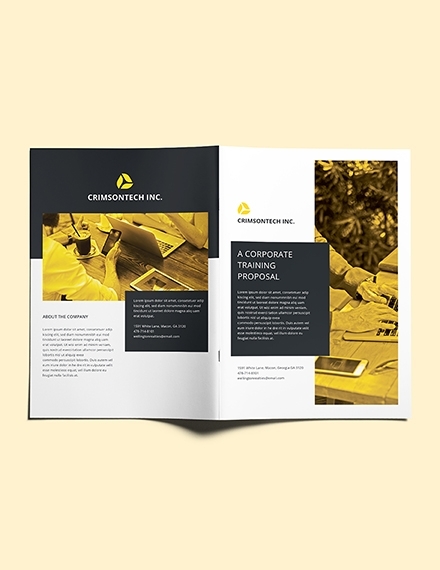 Every business document relies on proven facts and information for it to be effective. Additionally, these documents, specifically a business proposal, should never rely on assumptions alone. This will be detrimental not only to the effectiveness of the business proposal but also the individuals who created the said proposal. 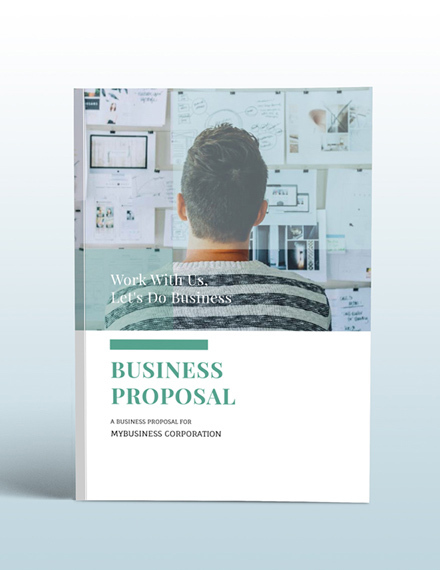 Before you create the proposal, make sure to gather the required and necessary information you need in creating the proposal such as (but not limited) to company information, market information, and investor information. Do extensive research when gathering these information. 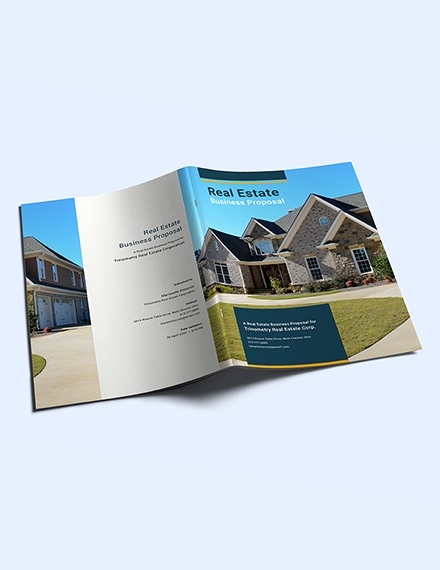 After gathering the information you need, it’s now time to outline the scope of the project. In this case, the project pertains to the business proposal. Group or categorize the information you previously gathered through the use of bullets. Do not write the entire proposal just yet as you only need to summarize your points first. 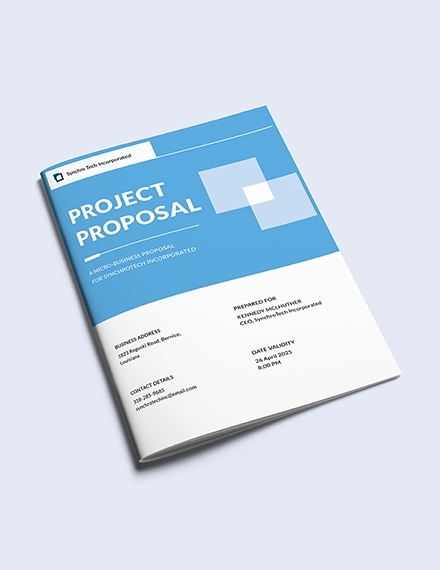 You might also want to take a look at project proposals. It’s now time to write the business proposal. 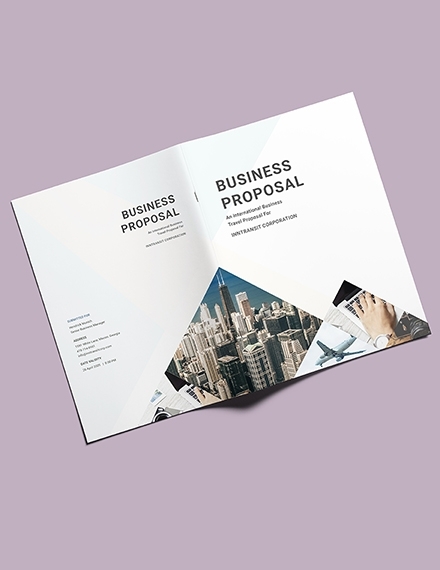 The type of business proposal you will be writing will depend on the recipient of the said proposal. 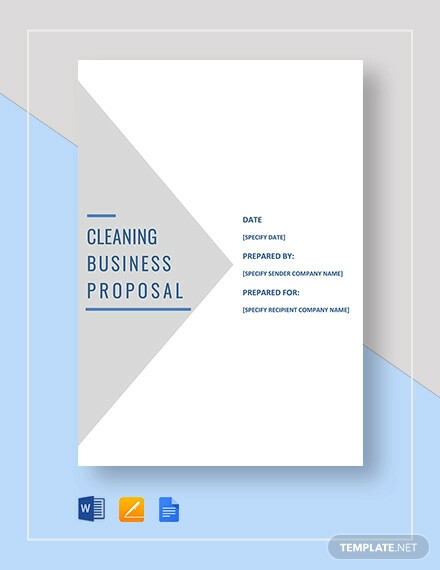 The succeeding section will further discuss the types of business proposals: formally solicited business proposal, unsolicited business proposal, and informally solicited business proposal. Writing the proposal will involve all the information that you gathered and analyzed, together with the charts and graphs you also incorporated. 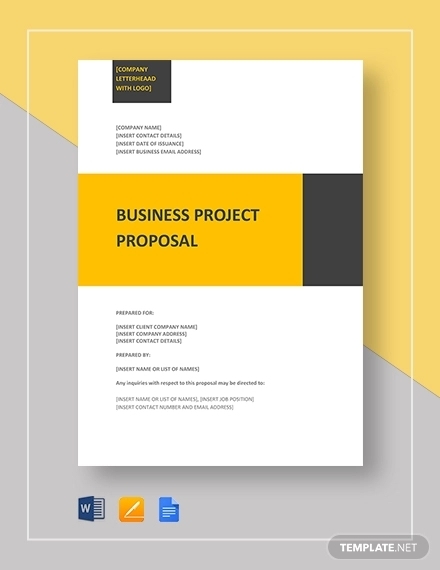 Once you have finished creating the business proposal, don’t submit it yet to your intended recipient. You first need to edit and revise the proposal and check for errors in regards to grammatical errors. You should also double-check the facts and analysis that you incorporated in the proposal as you will most likely be discussing these information with the recipient of the proposal. 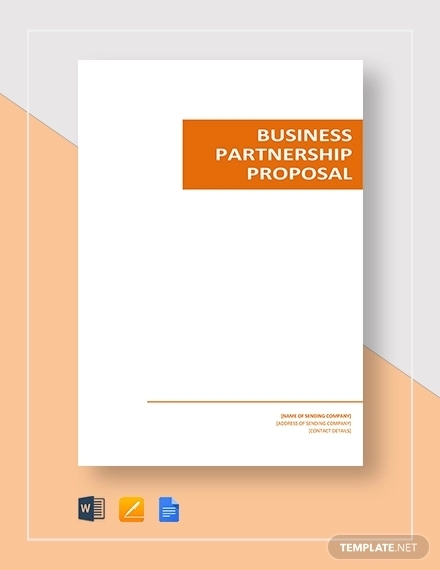 Formally Solicited Business Proposals: In most of the organizations, formally solicited proposals are written as a response of given requirements by the buyer. 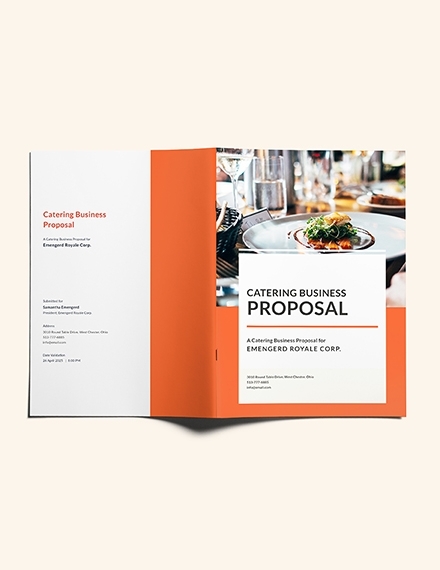 Unsolicited Business Proposals: The unsolicited type of business proposals is like a marketing brochure, which contains necessary information about the needs of the seller. In this type of proposal, there is no direct connection between the sellers and the customers. 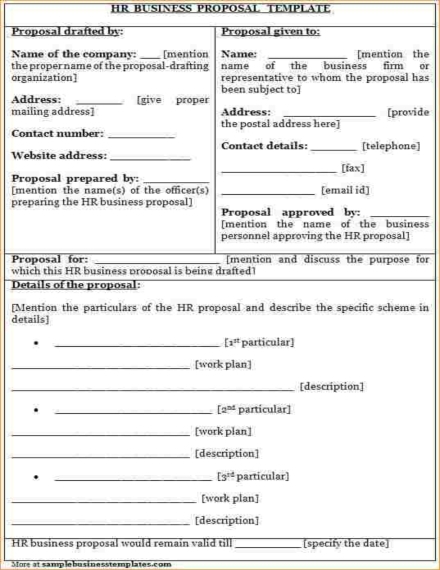 Informally Solicited Business Proposals: An informally solicited business proposal is a result from an oral conversation between the retailer and the customer. It is also known as the Sole-Source Proposal because it does not possess any requirement to meet, only a meeting and capture the deal. 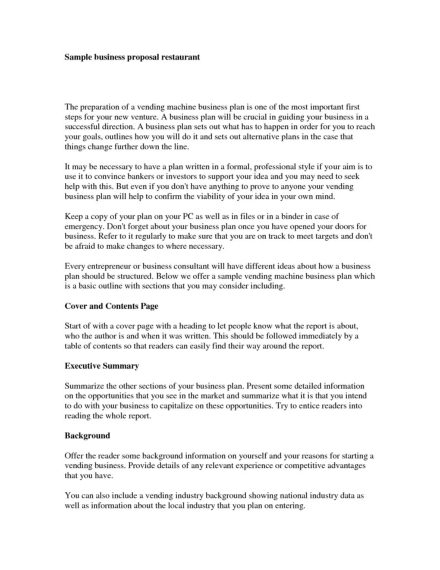 We hope you found this article to be informative as well as helpful when you will be creating your own business proposal. 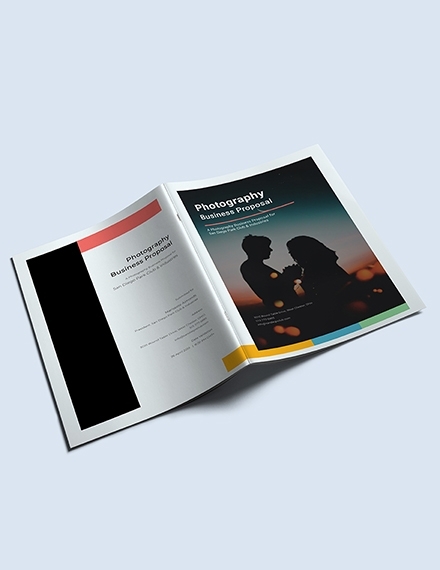 We have also provided some examples and templates which you can download for free.